We love knowing how much money we've helped our members to earn and a Profit Accumulator review from our members helps spread the word. We've had more than 100,000 paying subscribers and close to 200,000 registered accounts since we started. 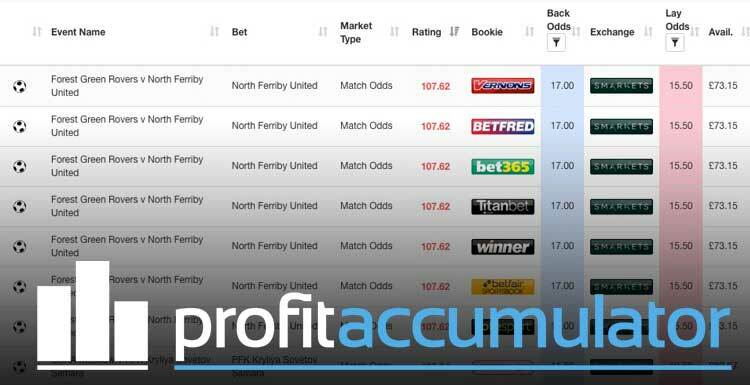 We'd like to tell you about some of our best features and why our service is the best in the business, so here's our Profit Accumulator review. PA was established in 2014 and since then has blazed a trail for matched betting as an industry. We're the UK's leading matched betting service. In the short space of a few years, we have moved matched betting from a little-known practice to a recognised, legitimate way of earning extra income from home in your own time. Our growth in popularity has allowed us to invest in software, staff and development to ensure our service remains the best in the business. We've even been nominated for awards. One aspect of our service that is continually praised is the sense of community among PA's members. Our matched betting forum is the biggest and most active of its kind anywhere on the web and is a place where members unite to offer tips, guidance and support - as well as share and celebrate each other's success. The friendly forum is well structured and administered by a team of matched betting experts, who are on hand to help members of all levels of experience. In his customer testimonial, PA member James said: "The most valuable aspect of Profit Accumulator to me is the member forum where people can post price boosts and regular offers. "I find this helps to deliver a big chunk of my monthly profit and I don’t think I could find all of these on my own which is where the support of other members and the staff at Profit Accumulator help massively. "Another essential aspect of Profit Accumulator is the range of calculators and spreadsheets to make working out each bet a quick and simple task. "Profit Accumulator has given me some much needed financial freedom to enjoy life and plan for the future in ways that my salary from my day job would just not allow. I thank Profit Accumulator for the fantastic service and offers that are posted on a regular basis to allow me to achieve this quality of life." Because matched betting is a new concept to many of our members, we understand the importance of being there to help. We don't just rely on our forum administrators to for this, we have a dedicated customer support team, who work seven days a week to answer questions and help out. In fact, we are the only major matched betting service to offer 7 day-a-week telephone support as well as responding to emails and online tickets. 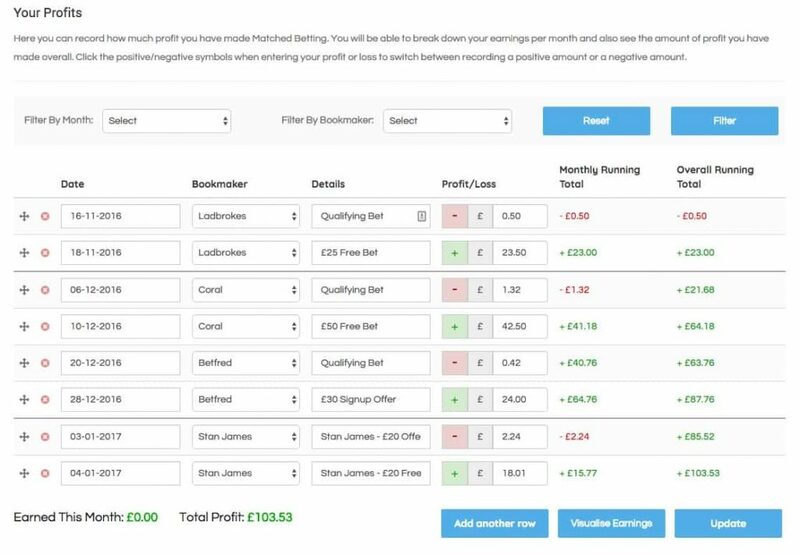 Our success has enabled Profit Accumulator to invest in the service to produce the best matched betting software available. We have built and developed bespoke products to make matched betting less time-consuming and simpler for members of all levels of experience. We have done this to stay ahead of the game, keeping our current customers happy and broadening our appeal to potential new members. Our tools range from matched betting calculators and industry-leading oddsmatching software to features that help you stay organised, such as Profit Tracker. We are continually striving to improve our service and work hard on enhancing current tools as well as adding new ones. 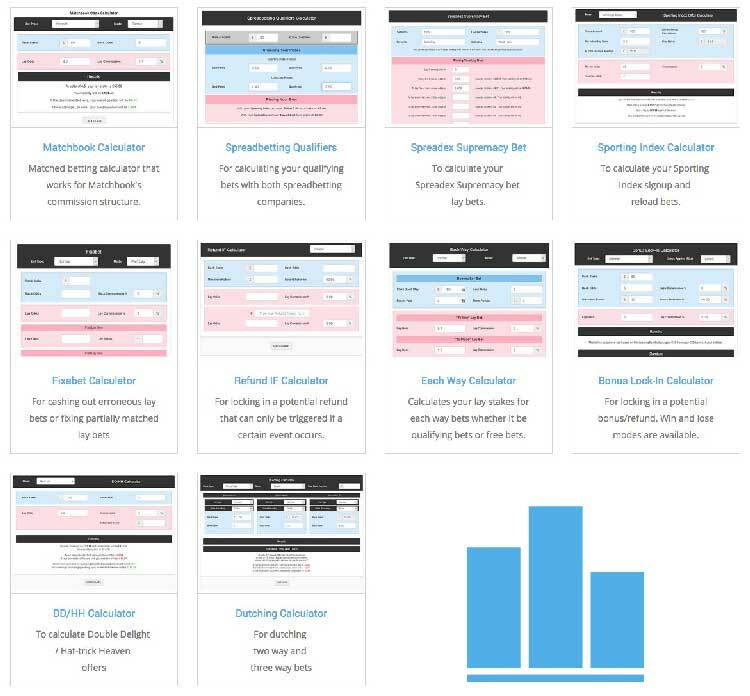 In June 2017, we added our new dutching calculator, Double-Delight Hat-trick Heaven Calculator and improved Sporting Index Calculator to further add to the arsenal of matched betting software our members can use to maximise profits. Bookmaker offers are fundamental to generating a sustainable income from matched betting. Profit Accumulator offers access to more than 50 sign-up offers to get you started and build up your bankroll but our biggest strength is the number of existing customer offers we highlight. These reload offers are updated throughout every day by our team of matched betting specialists, who include step-by-step instructions on how to complete each one. Reload offers are essential for keeping the profit coming in long-term. Our monthly Platinum membership fee of £17.99 now includes access to all parts of our service, including Acca Catcher and Match Catcher, which are cutting-edge tools to help you maximise profits from horse racing refunds and football accumulators. Members also get access to our seven-day customer support service, the matched betting forum and receive emails highlighting the best offers every weekend. How much can be made from matched betting at PA? This really depends on you and, in particular, how much time you can spare. It's a great way to add a few hundred pounds to your monthly income with just a small amount of work in the evenings or weekends. But plenty of our members who can spare more time, make more than £1,000 each month - some of them are even full-time matched bettors. Our members use their earnings for all sorts of things - from treats such as holidays to investments such as buying a house. One of our members, Jake, used his Profit Accumulator profits to re-enrol in medical school. Jake said: "I'd recommend everyone at least gives it a try. Although it may be daunting in the beginning, it's actually really simple and you may even enjoy it, especially when you see it actually works! No matter what your starting bank size there's always offers for you to do and your bank will quickly grow and then you can tackle more offers. "Do all the offers you can. Even the small ones make a big difference to your monthly profit. Challenge yourself to learn new offers so you can continue to make more each month and if you have any questions theres a great community on the forum who are always happy to help. And, above all, enjoy your profits."